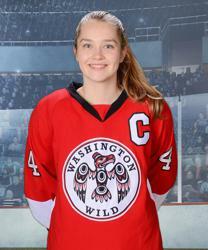 Congratulations to senior Bonnie Paulson, team captain of the 2017 – 2018 Washington Wild 19UA Rep team -- winner of the WWFHA 2018 Mikayla Anderson Wild Leadership Award and a recipient of a 2018 Pacific Coast Amateur Hockey Association (PCAHA) Scholarship Award. Skating for the Washington Wild for 8 of her 12 years in the game, Bonnie earned the Anderson Wild Leadership award for her academic achievement, school and community volunteerism, and hockey leadership on and off the ice. She will receive the award from Mikayla Anderson, after whom the award is named, at the WWFHA Annual General Meeting (AGM) on May 19th at Highland Ice Arena’s large dance hall from 2:45pm-3:45pm. She also received a 2018 PCAHA Scholarship Award in recognition of academic achievement and community/school service combined with hockey participation. Bonnie will receive her award May 16th, 2018 at 7:30pm at the Scandinavian Banquet Hall in Burnaby, BC during the 41st annual ceremony for boys’ and girls’ award winners, with grant monies going toward her higher education. 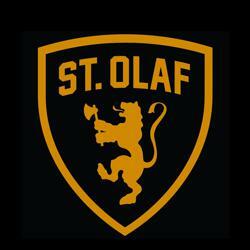 Paulson also recently committed to St. Olaf College in Northfield, MN with their highest academic scholarship. Bonnie’s awards, scholarships, and college acceptance were earned through her hard work on and off the ice, which we review below. A top student-athlete at Shorewood High School, Bonnie maintains a 3.994 GPA while participating in sports and orchestra and also serving as an after school tutor. Bonnie is a 4-year member of the National Honors Society and was named an AP Scholar with Honor (June 2016), and a National Merit Commended Student (September 2017). Bonnie achieved these academic honors while playing hockey for the Washington Wild, claiming the mound as a 4-year high school varsity fast-pitch softball pitcher (she served as team captain for the last 2 years), and performing for four years as a cellist in Shorewood’s Symphony Orchestra, where she sat first chair this past year. In eighth grade, Bonnie established a weekly tutoring club along with some classmates, and in high school she consistently volunteers as an after school tutor in algebra, geometry and calculus. Over the last four years, Bonnie volunteered at The WORKS, a clothing donation and redistribution organization for the Shoreline School District, where she sorts and repackages donated clothing for Shoreline students and their families in need. Last year, Bonnie volunteered at Popy’s Soup Kitchen. She has also been involved in the St. Dunstan’s English Handbell Choir for the last four years. Bonnie was certified as a Washington Wild student coach and has volunteered for WWFHA’s Girls’ Try Hockey for Free events and Learn to Play beginner program for the last four years. 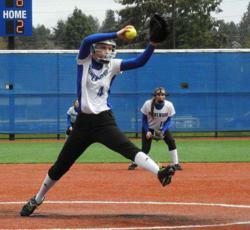 In addition, she served as an assistant softball coach for 2 years at Einstein Middle School. Bonnie starting playing hockey 12 years ago and spent the last 8 years with WWFHA. 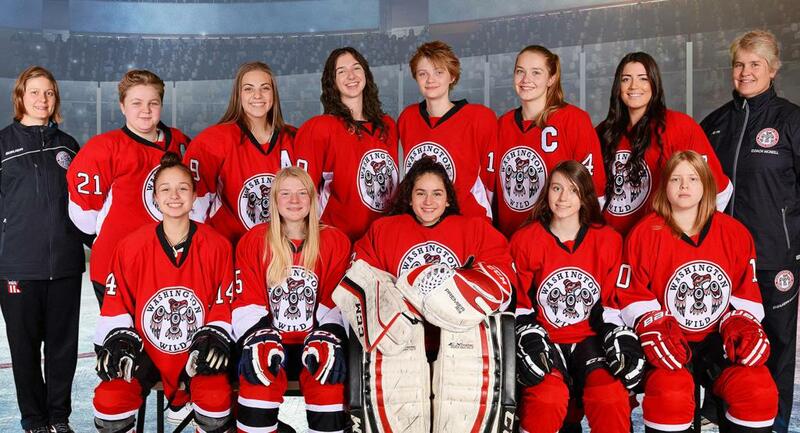 She spent the first half of her WWFHA career with the 14U team (formerly called the Phoenix) and the second half with the Washington Wild 19UA Rep team, where she served as assistant captain (2 years) and captain (2 years). 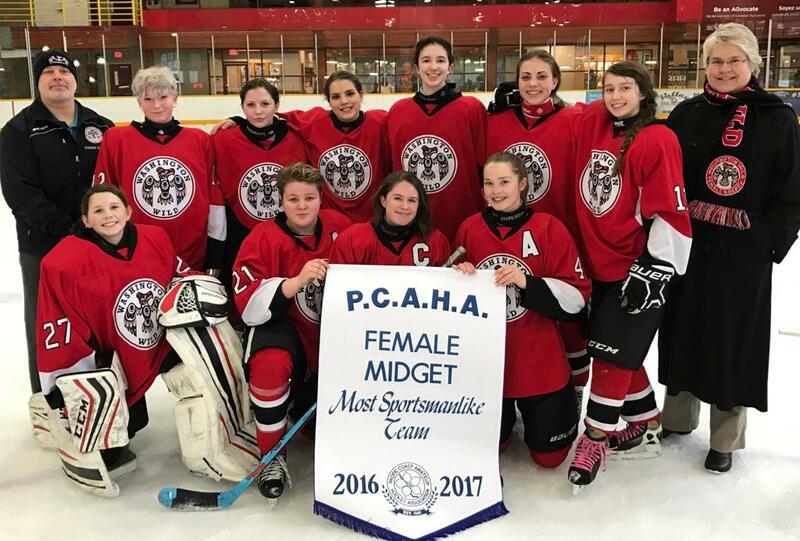 During that time, the team earned 2nd and 3rd place (twice) in league play and the prestigious PCAHA Female Midget Division Sportsmanship Award for the 2016 – 2017 season. 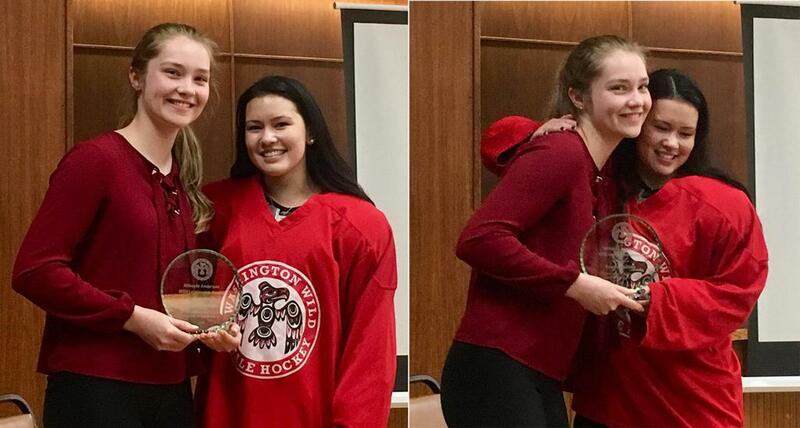 In addition to receiving a 2018 PCAHA Scholarship Award, Bonnie earned multiple MVP awards in tournaments and a PNAHA Hat Trick award as a Wild player. Bonnie says, “I am extremely proud of my teammates and myself for these victories. We put months of hard work into each season and seeing it culminate in success is immensely gratifying. St. Olaf College, a small liberal arts school in Northfield, Minnesota, attracted Bonnie initially with its excellent academics and beautiful campus. After much research and a couple of visits, Bonnie applied and received direct admission to the highly competitive nursing program. She’s very excited to be part of this nursing program, which encourages hands on participation in local hospitals and provides multiple opportunities for studying abroad. She also hopes to play with the NCAA Division III Women’s Ice Hockey team, which is part of the Minnesota Intercollegiate Athletic Conference. After she completes her next phase of education as an Ole, she hopes to continue on to medical school. Congratulations to Bonnie for all her hard work on and off the ice, from the entire WWFHA Family! We look forward to her bright future!